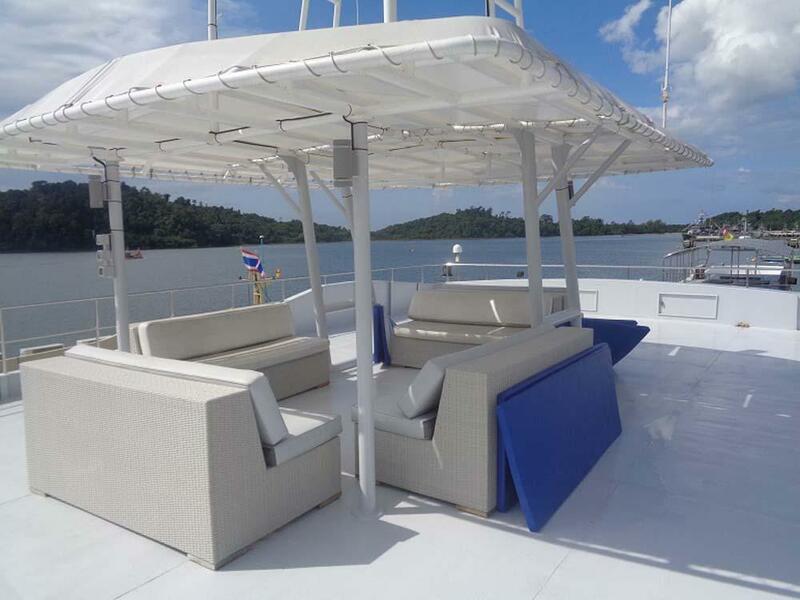 MV DiveRACE Class E is a brand-new luxury diving yacht designed & purpose built by professionals to guarantee comfortable Similan Islands cruises for to up to 20 lucky guests. DiveRACE Class E is 35m long & 7.5m wide, and can easily sail through any sea conditions it’s likely to meet, while offering great stability, safety & comfort for all on board. 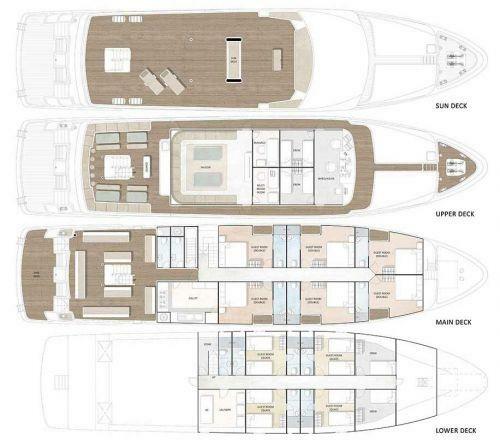 Dive RACE Class E was created to be a top-quality diving ship, giving passengers comfort & convenience at all times. 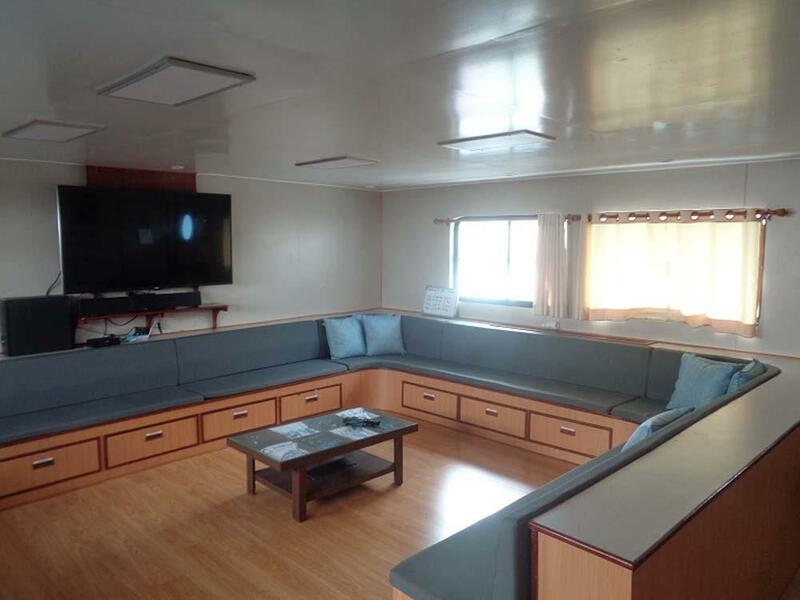 There is a large sundeck, 10 comfortable cabins, and indoor & outdoor communal areas. DiveRACE Class E guests can relax between dives at some of the best locations in the world, including Richelieu Rock. 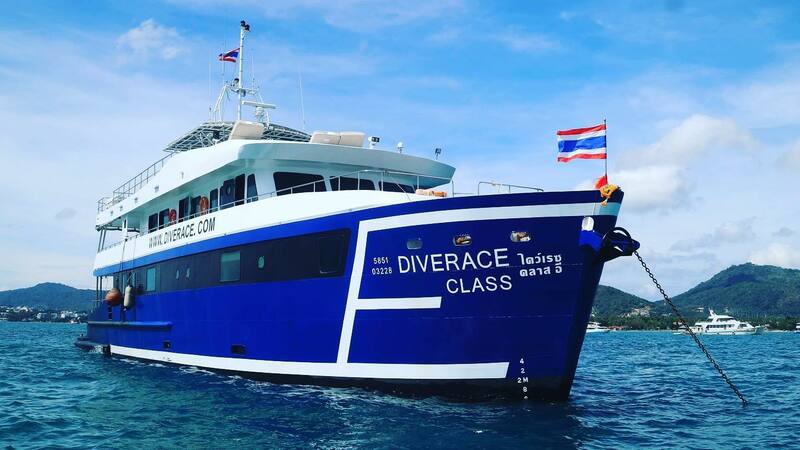 Dive RACE Class E is actually able to accommodate 28 lucky guests, but when in Thailand its quad bunk cabins are limited to only take two guests, therefore reducing the total guest capacity to 20. 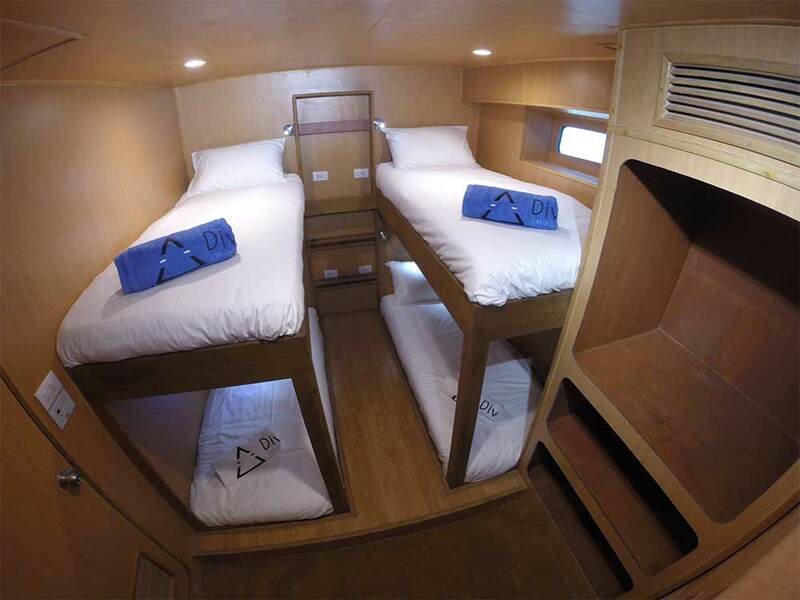 All cabins have air conditioning & private en suite bathrooms. 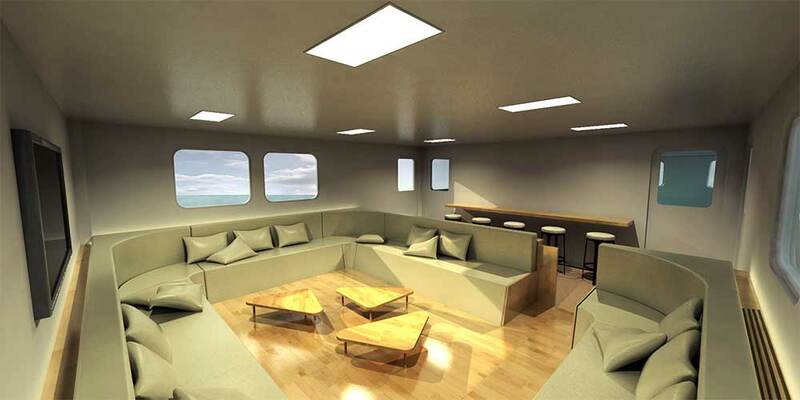 The main-deck luxury cabins have large windows with a small balcony. The low but comfortable beds can be arranged to be a double or two singles. 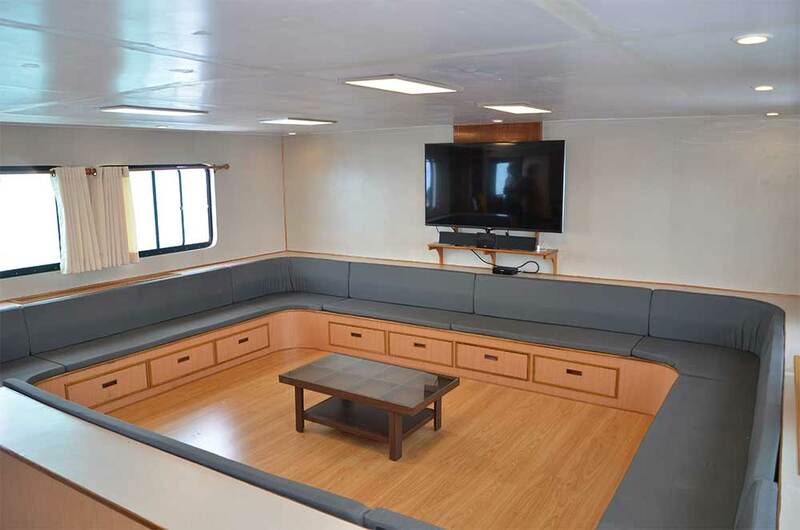 On the wall, inside the large saloon/lounge, sits a 60” 3D television which is ideal for playing movies & diving videos at any time of day. The food is simply delicious and consists of local & western cuisine, served throughout the day. You are welcomed back from each dive with a hot towel and a smile. The whole team are service minded & friendly. 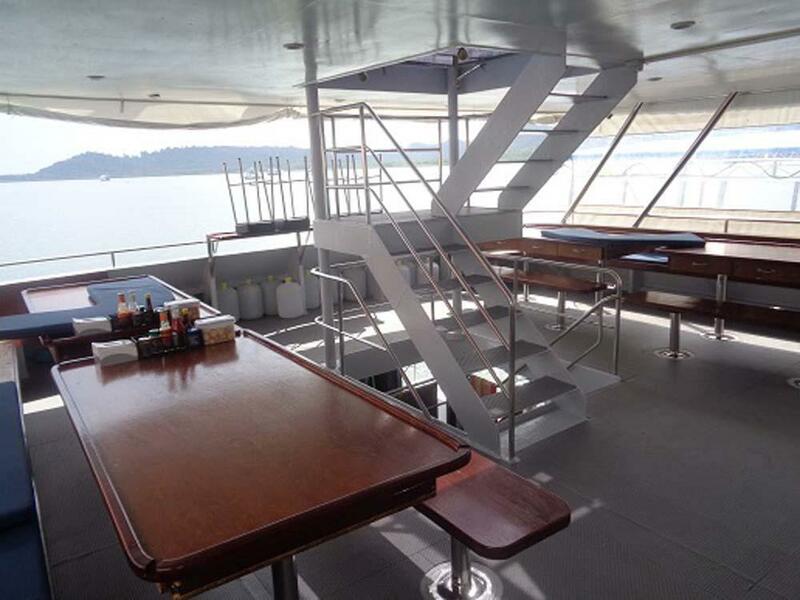 Dive RACE Class E also offers a Thai massage service, which can be enjoyed in a private room or outside. 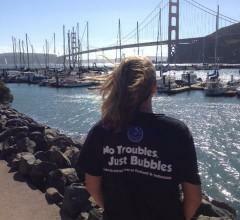 The diving staff are happy to help find all kinds of marine life or other special diving requests. 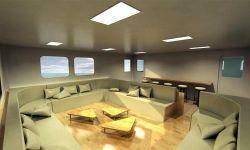 There are PADI courses commonly taught on Dive RACE Class E cruises, too. Please note that some websites are misleading about the length of the trips. 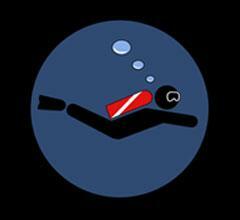 A 14-dive 4-night trip should be shown as 4D/4N because it departs in the evening, with no diving on that day. But some websites like to make the trips look longer than they really are* and show the trips as 5D/4N, and the 5D/5N trips as 6D/5N. *Maybe to make the 'cost per day' look unrealistically-cheap. Dive RACE has several itineraries. 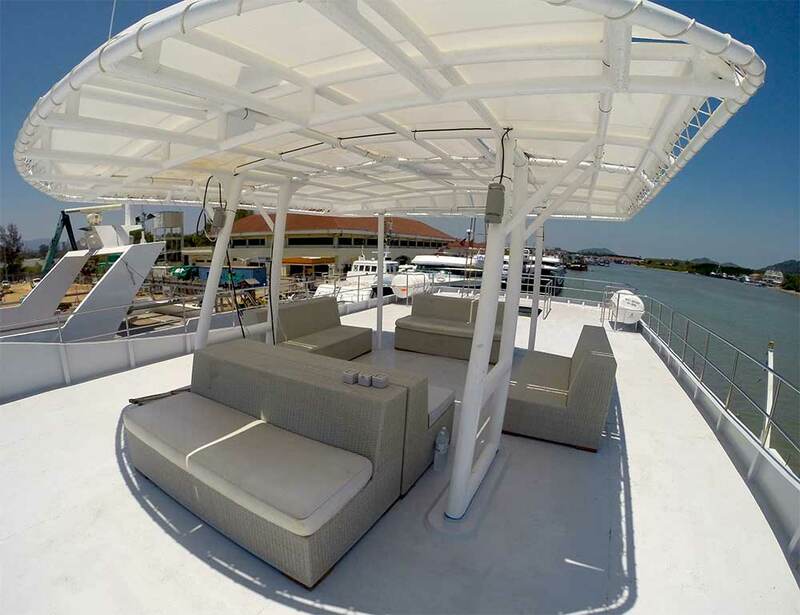 Most are 4D4N* trips to Similan Islands & Richelieu Rock, departing from & returning to Tab Lamu Pier in Khao Lak. 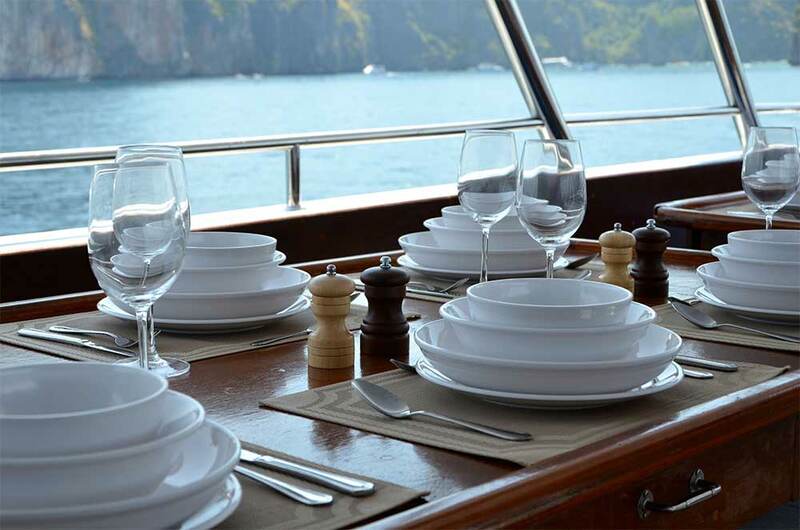 But during the season there are also some trips in the southern islands (Hin Daeng & Koh Haa). Also, there are some longer trips which combine both diving areas. At peak times, the Similan trips are one day longer. *Some other websites advertise the 14-dive, 4-night trips as 5D4N. Yes, they span 5 calendar dates, but there are only 4 diving days and on departure day the boat departs at night, with no diving, and you get back mid-afternoon. Please carefully check & choose from the itineraries below for your chosen/preferred trip. 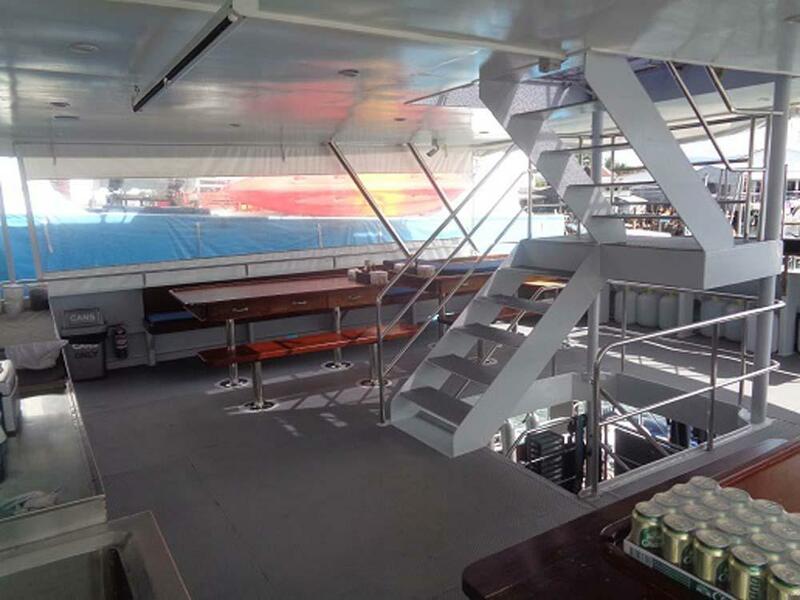 A range of PADI courses can be taught on MV DiveRACE Class E Similan Islands liveaboard cruises. 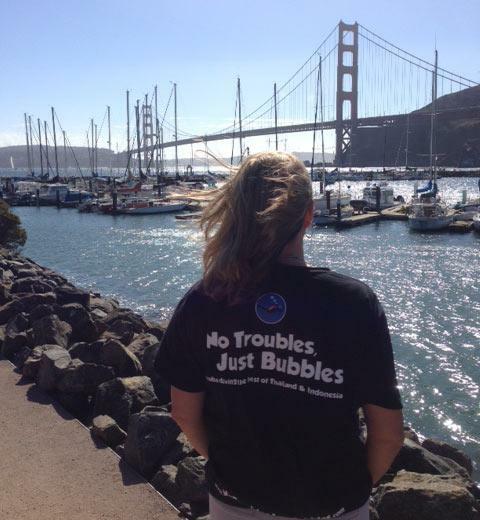 The most popular are Advanced and speciality course for divers who are already-certified. It's normally necessary to book or enquire in advance. 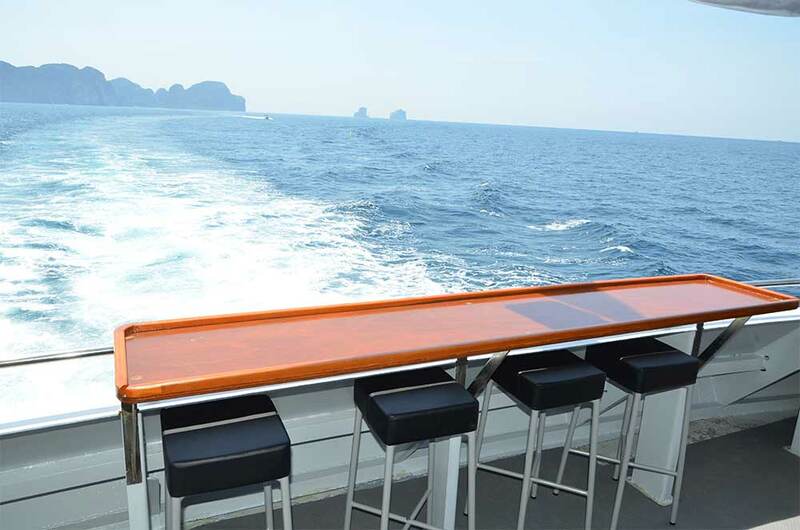 Guests can get free scheduled transfers from several locations in Phuket (including the airport) and Khao Lak. 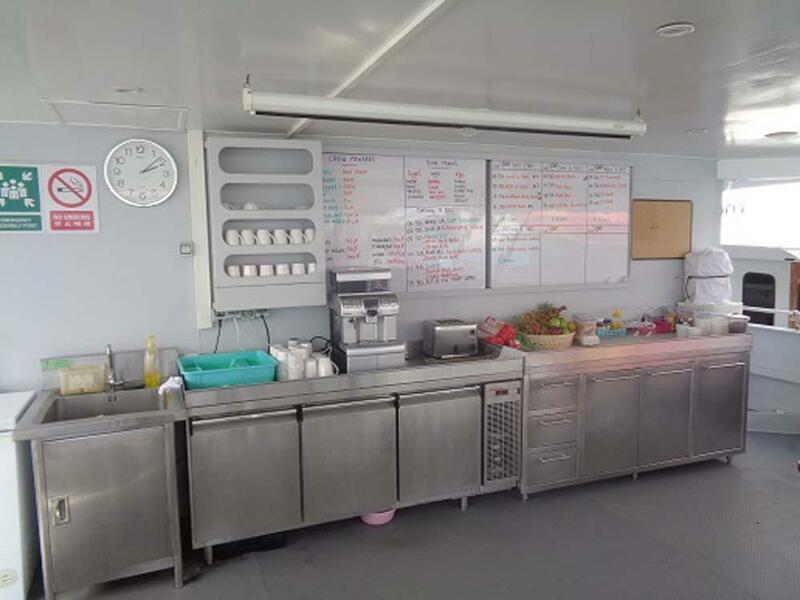 Pickups normally begin in south of Phuket mid-late afternoon and continue into the evening. The nearer the pick up location to the departure pier the later the pick up time. It's the same for the final day. Free scheduled drop-offs around Khao Lak and Phuket. Khao Lak transfers are not normally available for southern-itinerary trips that start in Phuket. Diving equipment (if required) 700 THB / diving day.